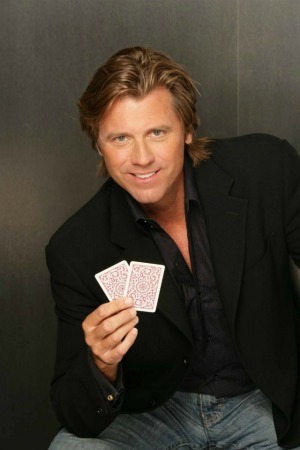 Vince Van Patten is an interesting dude. The guy can trace his lineage back to King Roland of the Planet Druidia (Princess Vespa’s father in Spaceballs), but he’s true royalty in his own right. The “King of the Hollywood Home Game” started acting when he was 9 years old, appearing in stuff like Bonanza, Adam 12, The Bionic Boy, Dirty Dozen III and Rock ‘n’ Roll High School. In 1979 he was the ATP Rookie of the Year and in 1981, Van Patten defeated John McEnroe to win the Seiko World Super Tennis tournament in Tokyo, Japan. He’s equal parts Hollywood and approachable. He’s been a top flight athlete and a stud poker player. He’s a fierce competitor and yet totally chill to chat with. The guy has tried his hand at acting, pro tennis, writing, directing, producing and professional poker. Van Patten cashed at the Main Event in 2010 and for 10 seasons, he’s shared hosting duties (and tons of witty banter) with Mike Sexton on the Word Poker Tour. 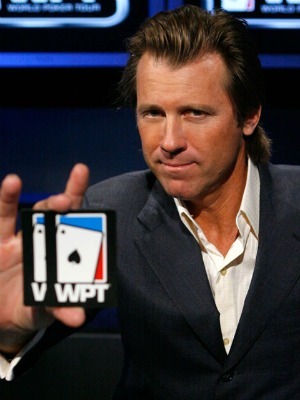 The WPT airs on Fox Sports Net and is broadcast globally in over 150 countries. The 10th season of the WPT is sponsored by ClubWPT.com, a membership site that features a sweepstakes-based poker club and is available in 35 states in the US. CS: What’s your favorite stop on the world poker tour? VVP: I’m going to have to go with Paris. VVP: Yeah. We spent 12 days there this year because we get a lot of publicity for the European markets and all. I love to run and jog and everything so I ran all through Paris, played poker at the casino, just had a great time. It’s always so much fun. How do you beat that? But I have to tell you, right after that we went to Venice, Italy – just got back a few weeks ago – and it has the oldest casino in the world. It was built in the 1600s and that’s my favorite place – the most beautiful casino and I just had an amazing time there, too. That is the charm of the World Poker Tour. We truly do travel the world and we see the best casinos in the world. CS: You guys also broadcast globally, for years now. Do you find that people recognize you when you go to these different venues across the world? VVP: Yeah. You know I guess we got pretty popular over in Europe with the show because it’s showing throughout the world. So yeah, they all know Mike and I and it’s like family time even when we’re in Europe. It’s just like family. CS: So I read today that Mike went to Ohio State on a full scholarship for gymnastics? CS: Has he ever given you any gymnastics pointers? VVP: He’s pretty humble about that. VVP: He obviously was as great athlete and then he retired from that and he has become a great poker player. But he doesn’t ever mention his gymnastics. I don’t know what happened. He always says his brother was even a better. Over the years we’ve played a little tennis, he tries that. He’s a good athlete so when he tries, even though he never played tennis, he wasn’t bad at that. He’s a good ping-pong player, too. He’s actually a decent athlete. CS: So speaking of decent athletes, I know you beat John McEnroe back in 1981. How did that feel and was he pissed off? VVP: Oh man I tell you, yeah. I beat him in ’81 at the Seiko tournament. And it’s great to beat the number one player, you know. I was top 25 in the world and to beat him was especially – because you know, he basically stole 5 points a match by intimidating the linesman. VVP: So when you can beat him and tries everything, everything to win—it doesn’t matter how he gets there, he wants to finish first. And I had to stay really strong and it was the win of my life and I’m very proud of it. If I was distracted for 10 seconds I would have lost, that’s how good I had to play, so it was a great accomplishment for me. I’m proud of it. CS: Do you agree with McEnroe’s opinion that US tennis has hit an all-time low in terms of the talent that we put forward versus the rest of the world? VVP: Well I think it was just a matter of time. The hungriest athletes are going to wind up being the best all things considered. So you figure, America are we hungry enough? Are we doing all the right things to breed the best tennis players? Now I do think that we do have, for some strange reason, our tennis players do have more heart than anyone in the world. So when an American player plays they have no quit in them. They don’t really have excuses. And I really respect the American athletes for that. But saying that, I think these other third world countries and over in Russia and these other countries all they have is to train their kids to be the best, that’s it. They know that to get out of the squalor they have to get out of, to live the good life, they have to give a little bit more. And that is showing and perhaps that’s why guys from, you know, Spain and Russia are becoming the best in the world. CS: So you think that preparation is what provides that edge? VVP: I do. I think it’s preparation. I think it’s desperation. And are we desperate enough to breed more champions in America? I think that is the question. CS: Gotcha. So when you’re announcing tournaments do you think that plays to your advantage when you play against some of these same guys? VVP: Absolutely. It’s a big advantage. Now just a couple of years ago they allowed us in the World Poker Tour – Mike and I – to start playing tournaments if we wanted to. And because of my family commitments with three children, I have chosen to play like one or two. But Mike has chosen to play and did quite well. He made the final table and I know that’s because of the history we have of seeing every move. You know it’s like we’re doing our homework week after week, week in and week out. We know the players so when we’re at the table and you’re up against these guys, yes, it’s going to help. It’s like studying the films in the NFL. CS: Do some of the players get a little bit bitter about that? VVP: Not at all. Nowadays everything is open. Everyone has the opportunity to look at every WPT tape and every great player and see their tendencies, you know? CS: Right, it’s not just you guys. VVP: Mike and I are forced to because we do the show and then we do the studio work, so we’re forced to. And we make our notes. So I play a lot of cash games still and when I meet them at the cash games, you know, I’ve taken the notes and I kind of know how these guys play. It does help. CS: What do you think is more stressful? A high stakes cash game or some of these high profile tournaments? VVP: I think usually you’re a tournament player or you’re a cash game player. VVP: I played the Main Event at the World Series and I cashed last year. Five days going. It’s fun, it’s a time commitment, and it’s a whole different groove you have to get into. Where cash, I love the feeling that you can play fast, you can bust out, you can take some money and walk away in two hours. CS: Yeah leave whenever, right. VVP: Yeah. Eat when you want. VVP: And come back an hour later after a dinner break that you decide on. I like the freedom you have in a cash game. That saying, tournaments are usually profitable and feature guys with a different mentality. They love that and they won’t play a cash game. So it’s just completely different, both stressful in their own way. You’ve got to figure out what kind of animal you are and what you want to play. CS: How do you keep yourself sharp at the table when you’re sitting down for a long day of poker playing? VVP: If you want to be a winner you’d better know how to do that. You’ve got to know how to stay sharp. If you really don’t care, if you’re just there to have some fun and see how it goes, you know, you’ve given away a huge edge. You’re probably going to lose. I want to be worked out before, like exercise and everything. I want to feel good. I want to feel fresh. And I like getting in the game early because I want to know how these guys are playing. Who’s losing after three hours? It’s a big advantage. VVP: Who’s winning? How have they played? Really studying the table. So it’s just a matter of being attentive, wanting it bad, wanting a win result bad. It’s not even about the win result necessarily; it’s about how well are you playing. Are you winning on your own level of playing, you know? If you lost $5,000 that day, but any other ordinary player would lose $8,500, that’s a win in the long run. So that’s what you’ve got to really figure in to it all. I just like to feel good and confident and eager to be there. Otherwise I won’t be there. CS: What are some of the biggest mistakes that amateur players make? VVP: I see a lot of amateur players at a final table doing really well and they really do have a lot of tells still at the table, especially a lot of guys that came from online. And they’re projecting just too much. They’re giving away too many hints at the table, body language and shaking of their heads and all that. The really great ones don’t give you anything. They’re a wall. And that’s what you really have to attain, I believe, to be a great player. You can’t give away tells like that. And these guys sometimes don’t even know it. CS: You mentioned internet poker. 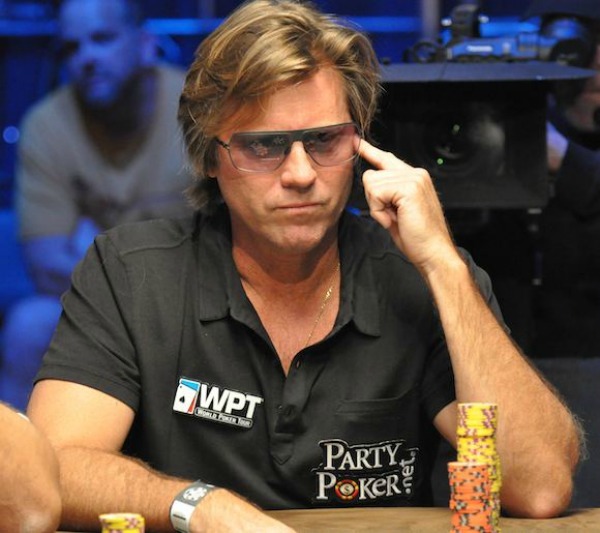 How do you think the US ban on internet poker has impacted the WPT over the years? VVP: Oh I think a lot more online guys are now playing in casinos and playing in tournaments. I think it’s not much of a difference. I mean a lot of guys, you know they were doing well online, they had a lot of loose cash and now there’s not quite as many players with that kind of cash running around. VVP: Tightened things up a bit. CS: Who is a player you think we should watch for this season in the World Poker Tour? VVP: Well it’s always shocking because you get all these big names—you’ve got 500 big names in poker now, and then the final tables are all unknowns. VVP: You know there’s a list of young guys that are terrific and it’s the greatest game of all because there’s still that luck factor. And that means anyone can win and anyone can do it these days and become a TV star, a poker star. It is exciting. I’m a fan of Jonathan Little. I’m a fan of Doc Sands. That’s some of the younger guys. I think Will Failla – “Will the Thrill”– is an exciting player. I’m not going to put him in the class of his own—well he’s up there, he’s a fine player, but just for pure charisma I like “Will The Thrill.” Dwyte Pilgrim, great personality. I mean if “Will The Thrill” or Dwyte would have made it on the World Poker Tour in the first three seasons, they would have been the biggest things in poker, bar none. It’s just, as the years go by it just all gets diluted a little bit and you’ve got to fight a little bit harder for that stardom. But these guys are charismatic and interesting players and have a lot to say at the table. They make great TV time. So it is fun to watch. Still great. Better than ever. CS: Who would you say is the most entertaining player at the table? VVP: Well I always look out for Tony G.
VVP: He’s really an air bag, you know. VVP: He’s great with the insults and funny at the same time. And I’ll put Helmuth right up there, too. I still enjoy Phil Helmuth. You know he’s just fun to laugh at. His own frustrations out on the table, it’s classic. Those two guys are fantastic. So I enjoy the characters. I think most people really do. It’s just fun to watch when you see their cards, you see their frustration, you see what they’re doing, and on top of that they’re great players. It’s truly exciting. CS: So do you think that Phil Helmuth or Tony G have mellowed out over the years or do they still bring the same ferocity each time? VVP: Oh I think Helmuth has mellowed a little bit. I think he’s become such a big name in the game and he’s happy with his life and he’s made a lot of money with it, and actually he’s kind of getting it that “hey yeah, I was acting like kind of a jerk” and I’ll go along with some of that but, you know, I’ve seen him pull back too in a moment where he could have, you know, gone over the top like the old Phil. VVP: Now he’s sort of protecting himself, saying “hey I’m gonna roll with this one” and it’s good to see. As for Tony G I haven’t seen him play enough tournaments lately to see how crazy he gets. But he never was his own worst enemy. He never looked like the fool, in my opinion. He always made other people look like the fool. CS: So what do you think is the most overrated starting hand in hold ‘em? VVP: That’s a good question. Hmm … you know … I’m very open to hands. I just feel like every hand is either your best friend or your worst enemy. That goes for aces, that goes for ace-king, and jack-ten and diamonds and pair fours. I’ve seen so many that it’s just—you know more people get knocked out on ace-queen over the years than any other hand. So if you have to go with one that really seems to make a lot of people go broke I would say it’s ace-queen. CS: Okay. Fair. Now what does an amateur player need to do to get to the next level, start appearing in tournaments and really step up their game? VVP: I think an amateur player really has to study, know it, and get a better poker face. VVP: Take their ego out of the game, and really want it bad. You’ve got to hate to lose and love to win. And you’ve got to be 100% focused and excited or don’t bother. And you have to have great restraint when things are going bad. Do you have that character? Do you have the heart when things are going bad not to tick off? Not to go into a different mode of bad play? If you do, you’ll be the next superstar. If you don’t, you’ll be another hack and you should stay away. CS: When poker players have success how much of it do you think is attributed to math, an analytical mindset and understanding the odds versus just a gut feeling that you get from a straight time-on task? VVP: I think there’s 80% of the mathematical nowadays and about 20% of gut and moves and heart. But you know, you can know every move in poker. You can see every move and know what you’re supposed to do, but the tendencies to make a bad decision at that point are very great. Probably up to 80% you won’t do the right thing. Only the 20% of the top people are doing the right thing when they’re really supposed to. And that takes heart, character, wisdom and bravery. CS: Do you think there should be a main event with only poker pros where you kind of get the best of the best squaring off against each other? VVP: You want to feature excellent, top notch players, but also the great characters of the game that have something to say, that’s good TV watching. Otherwise I don’t think it matters. CS: Would you rather win Wimbledon or the World Series main event? VVP: Oh. Well to be honest with you, I would be so excited to win the World Series of course, but there’s so much luck involved, you’d never get the appreciation or you could always say “yeah you know how lucky I had to be to get that run?”And I would know that. So that wouldn’t mean as much. You win Wimbledon, you know you are the best in the world. No one is better. There was no luck involved. So I think for me to win a major tennis event would be more satisfying. CS: What kind of bankroll do I need to get in on those pot limit cash games in Beverly Hills? VVP: It’ll vary now but when I was playing—and I’m still playing some but I’m playing smaller games now, not as big. But there’s so many games in Los Angeles that are like home games and I’m not playing but I’ve heard games are going where they play for $100,000, win or lose. But they have all different kinds of games where you can win or lose $2,000 to $10,000 to $20,000. Pick your choice of what you want to lose or win. VVP: All around town I get all kinds of texts about playing this game or playing that game, but I’m down to one a week and I play a nice social game and it’s just kind of fun. CS: I know there are tons of celebrity poker players out there and you have the moniker of being the “King of the Hollywood Home Games.” Or at least previously like you said. Who are some underrated celebrities? I mean we know like the Ben Afflecks, Tobey Maguires and these kind of guys, but who’s little bit more under the radar? VVP: Jennifer Tilly is a nice player. The girl who played in American Beauty – Mea Suvari, she’s a great player. She played our celebrity tournament and she’s like, really good. She had great instincts and a poker face and saw through people. She would be one in my opinion. Hank Azaria is a nice player. CS: Does he do voices at the table? VVP: Yeah (laughs) he’s always doing something. VVP: Doing all kind of characters. He has a weekly game which I play once in a while and he does all kind of characters (laughs). But he loves poker, loves poker. CS: Last question, who’s the nicest poker player out there? Like just the best all around person? VVP: I like Andy Frankenberger. I like his demeanor, I like his intelligence. He’s a classy guy. I respect him a lot. But there’s lot, there’s a lot of those guys.